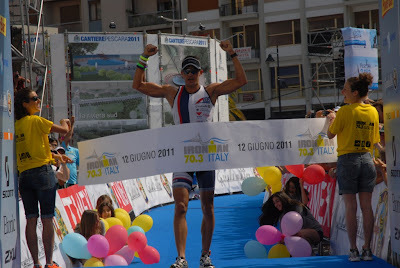 The inaugural Ironman 70.3 Italy was held in Pescara on Sunday, June 12th. The top spots in the men's and women's races were taken by Italians: Daniel Fontana and Martina Dogma. 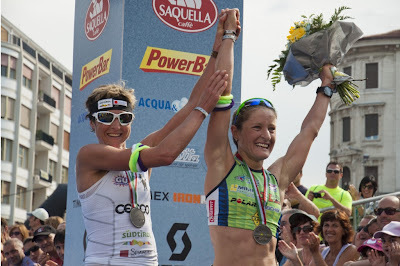 The race began with a 1.9 km swim that took place in the Adriatic, followed by 90 km road course that took riders into the foothills of the Abruzzo Mountains, and finished with a 21.1 km run along the beach promenade of Pescara to the finish line in the heart of the city. 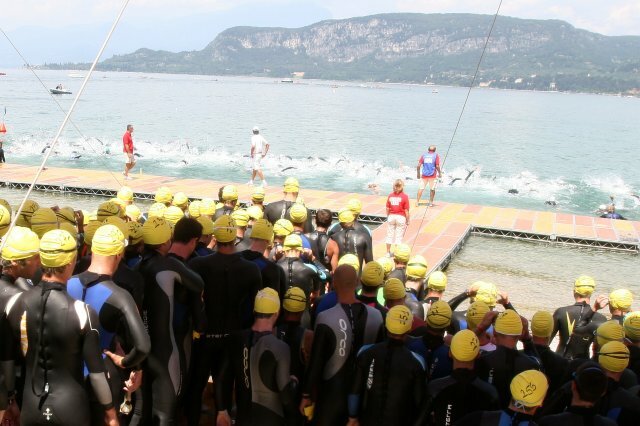 Over 1,000 athletes, representing 47 countries, took part in the race. This coming weekend is the beautiful Bardolino International Triathlon on Lake Garda, registration now closed having reached it's 1,200 participant maximum. Stories for the Italian Cycling Journal about rides, granfondos, touring, having a good time cycling in Italy, Italian cycling history, etc. are always welcome. Contact me at veronaman@gmail.com. There are more than 2,000 stories in this blog. The search feature to the right works best for finding subjects in the blog. There is also a translate button at the bottom so you can translate each page. Angelo Zomegnan Leaving Giro d'Italia? Riding in the "Dolomiti Stars"
Ivan Basso Autobiography: "In Salita Controvento"